Sharon and Jim discuss legal writing with Gary Kinder, founder of the editing program WordRake. Does quality writing really make you a better lawyer? 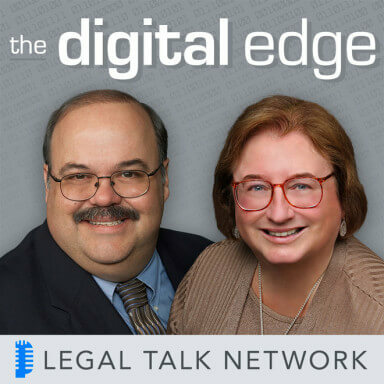 On this episode of The Digital Edge, hosts Sharon Nelson and Jim Calloway discuss legal writing with Gary Kinder, founder of the editing program WordRake. Together, they explore lawyers’ biggest writing errors, why this is important in the courtroom, and how writing well can help build a positive reputation for a firm. In their conclusion of the episode, they shift the focus to WordRake itself, expanding on what it is, the cost, and why it’s effective. They even include a treat especially for Digital Edge listeners. Gary Kinder founded the software company WordRake in 2012. The company’s eponymous software is an automated editing program that suggests changes to improve brevity and clarity. Sharon D. Nelson: Welcome to the 110th edition of The Digital Edge: Lawyers and Technology. We are glad to have you with us. I am Sharon Nelson, President of Sensei Enterprises. Jim Calloway: And I am Jim Calloway, Director of the Oklahoma Bar Association’s Management Assistance Program. Today, our topic is The Importance of Legal Writing, an interview with WordRake creator, Gary Kinder. Sharon D. Nelson: Before we get started, we would like to thank our sponsors. Answer1 is a leading virtual receptionist and answering service provider for lawyers. You can find out more by giving them a call at 800 answer1, or online HYPERLINK “http://www.answer1.com” www.answer1.com. Jim Calloway: Thanks to our sponsor, Scorpion, which delivers award-winning law firm web design and online marketing programs to get you more cases. Scorpion has helped thousands of law firms just like yours attract new cases and grow their practices. For more information, visit HYPERLINK “http://www.scorpionlegal.com/podcast” scorpionlegal.com/podcast. We are very pleased to have as our guest Gary Kinder, a lawyer, writing expert for the American Bar Association who has taught over 1000 writing programs. He is a ‘New York Times’ best-selling author, creator of WordRake Editing Software, a dad, and an all-around good guy. Thanks for joining us today, Gary. Gary Kinder: Well, I liked that introduction Jim. Thank you. I had been looking forward to this for couple weeks now. Sharon D. Nelson: Well, we are excited to be talking to you Gary, and of course, we both know you and had some great conversations in the past. As a point of curiosity on my part, when did you first decide to teach other lawyers how to improve their writing? Gary Kinder: Gosh, Sharon, I don’t know if I actually decided to do that. It just kind of happened. I have been living in Idaho and decided I didn’t want to practice law but I wanted to be a writer. And I had written a couple of books, and a bunch of magazine articles, but as this so often happens with people, I had two babies at home who had to be educated and fed and clothed, and I needed another job, and so I moved my family from Idaho over to Seattle. And my idea was to become an in-house editor. I just assumed that, that all big law firms especially would have in-house editing people, because one of the ironies I discovered is that when I write a book, I send it to my publisher in New York, and my agent usually looks at it, then my personal editor goes over it at the publishing house. We go over every single page and look at pacing and all kind, grammar and all kinds of things, and then after that they have a copy editor come through and he or she will put five or six, seven, eight stickies on every page of an 800 page manuscript and I have got to address every single one of those questions and concerns. And when the whole thing is over, if we are really lucky, everybody splits maybe a million dollars, that’s the publisher, and the agent, the editors and the writer, and yet ironically a lawyer writes a brief and there might be tens of millions hundreds billions of dollars actually writing on this case, and nobody looks at it. So I just assumed that they would be dying to have qualified editors to help them, but when I went to the big firm here in Seattle, they didn’t want somebody editing their work; however, one of their practice group head said, why don’t you come in here and teach us how to do what you do. This is in 1988, so I created a writing seminar for this firm here in Seattle, Perkins Coie, and I had been teaching to lawyers across the country ever since. Jim Calloway: That’s very interesting. While teaching lawyers what did you learn about writing from them? Gary Kinder: Jim, you know, it’s you probably been in this situation before too. Any time you teach something, you learn a lot more than the students do. Again, when I first started teaching I had already published two books back in New York and a lot of magazine pieces and I have analyzed writing. But as I am getting deeper and I have to teach other people how to do some of these things, I really started to learn a lot more about it. And one of the things that I noticed and we can talk about this a little later too, as I start to see in patterns, patterns not only in lawyer’s writing, but in all writing. These are things you can identity and very quickly teach someone else how to spot these things that they could do to improve their own writing, but it made me get deeper and deeper into understanding what I did as a writer to make it clean and clear and concise and also how to persuade people, what is it I do that helps other people understand my position and moves them to act in a way that I would like them to act. And as I analyzed all these things, I would come up with just little short phrases that would convey these kinds of things to my audience which is primarily lawyers. Sharon D. Nelson: Well, I think that a lot of lawyers don’t necessarily believe that writing is terribly important and that seems to be especially true with the millennials. So, how do you answer the question Gary, why is writing is so important for lawyers? Gary Kinder: It occurred to me, Sharon, not too long ago that if you think of a lawyer and a law firm as being like a manufacturer, and they have one product and only one product that they manufacture every day and that is ideas conveyed in writing. That’s all we do, all day long is convey ideas in writing. And we convey those ideas to the courts, to opponents, to the public, to people within our own firm, and people very quickly when they join law firms and lawyers mainly, gain a reputation as being a really fine writer, a passable writer or a lawyer who has got some problems with writing. Believe me I do a lot of private tutorials and it’s that 50-year associate in litigation who has great speaking skills, great personal skills, depositions, gets along well with clients, but can’t get it down on paper and it becomes an issue. They let it go about that long assuming the associate is going to improve and the associate doesn’t, so it’s now keeping this associate from becoming a partner. And also, when we deal with nothing but words, we are trying to get a judge to believe us and see the logic in our reasoning; that writing has got to be really clean and clear and concise and it’s like a Federal Judge. He is deceased now, but he was arguably the most respected Judge in the Northwest on the Seattle bench at the time. I asked him one day that same question, why is it so important that lawyers write well. Well, can’t you see through they are muddling around if they do, and see the balances there that need to take place in your head to decide for one side or another, and he had a very succinct response. He said, if you really do write well, you win more cases. So that’s especially important for litigators when you have contract, transactional people drafting contracts. If that writing isn’t clean and clear and concise and I don’t need to tell you about some of the contract language, but you end up in all kinds of problems that lead to litigation later and you can – the cynical among us can say, well, that’s just rainmaking for the litigation people that as you know the clients are happy about that, and it just creates all kinds of problems. So the more clearly and concisely we can communicate, the better it is to everybody. And that affects our own personal reputation among the lawyers in the courts with whom we work and write for. Jim Calloway: Gary, I have noticed some time that lawyers feel like, we can all write, just like we can all read. But, how important really is, is good writing for the image of the law firm? Gary Kinder: Writing appears, as I mentioned all fall back on this Jim, on this idea that law firms have one product and that is ideas conveyed in writing, and if you attach that kind of importance to it, that every single thing that they do really goes into, into some form of writing and the firm will gain a reputation. There are — I talked to them many times. There are judges who — and even clerks, after just a few months on the bench, they will get a brief from a certain law firm and they will know it is going to be contentious, it is going to be overblown, it is going to be hyperbolic. They are going to have to check on all the citations and make sure that they recorded things properly, and they are prepared. Once they see that law firm at the bottom of the page, they’re going to be tougher on them and then you have the opposite, you have, my gosh, the lawyers who work for this firm and it could be boutique firm, it could be a giant firm or an individual for that matter, a solo, they have a reputation and it doesn’t hurt the outcome of the case, the possibility if you are prevailing for your client. If the judge or a clerk looks at your name on the bottom of that firm on the bottom and automatically assumes this is going to be well researched, well thought out and especially well-written. That makes my job easier, that makes me a happy person, I’m already leaning favorably toward that law firm, that writer. Jim Calloway: Well, that’s very interesting. Before we move on to our next segment, let’s take a quick commercial break. Sharon D. Nelson: Not getting enough cases from the Internet, the kind of cases you want, Scorpion can help. Over the last 15 years, Scorpion has helped thousands of law firms just like yours to attract new cases and grow their practices. During this time, Scorpion has won over 100 awards for its law firm website design and online marketing success. Join the thousands of law firms which partner with Scorpion and start getting more cases today. For more information, visit HYPERLINK “http://www.scorpionlegal.com/podcast” scorpionlegal.com/podcast. Sharon D. Nelson: Is your firm experiencing missed calls, empty voicemail boxes and potential clients you’ll never hear from again? Enter Answer 1 Virtual Receptionists. They are more than just an answering service. Answer1 is available 24×7. They can even schedule appointments, respond to emails, integrate with Clio, and much more. Answer1 helps make sure your clients have the experience they deserve. Give them a call at 1-800-answer1 or visit them at HYPERLINK “http://www.answer1.com/podcast” answer1.com/podcast for a special offer. Sharon D. Nelson: Welcome back to ‘The Digital Edge’ on the Legal Talk Network. Today, our subject is the Importance of Legal Writing an interview with WordRake creator Gary Kinder. So let’s see, where should we go next? I can’t even imagine how many problems lawyers have with their writing, but what are the very biggest ones, the ones you see the most often Gary? Gary Kinder: Oh you are right, where do you begin on this one Sharon, you have written about this concerning the recent law graduates. Sharon D. Nelson: Sure enough! Gary Kinder: Yeah, no, I devoured that article. There are levels of problems. I think some of it is in the thinking. I think that some lawyers assume that they have to be super aggressive and the more they try to batter the other side with words, the more successful they are going to be and I — this has always surprised me because if you put a robot and you sit on the bench and you read the brief that you just wrote, you wouldn’t like people talking to you like that. And I don’t know why that doesn’t transfer to lawyers writing those briefs is that what’s it’s going to be like if I were reading this? I taught writing programs for the judges of the 9th Circuit, I talk to them over dinner and lunches, and just kind of chatted with them and they know the style immediately and they could even predict which lawyers, or which firms are going to be writing in this style. So it starts at the kind of higher level there and how we approach this whole idea of writing. And I am talking mainly right now about litigators, but then the ethics get involved and that sort of. When I was teaching, I had an all day course on just litigation brief writing and one of the things that I tried to drive home was the ethical part of this. And the more ethical you are, the more you approach this in not a bland way at all, but as being, trying to be your peer objective, we know you’re not, but trying to be objective, admit that once in a while that I think one of the best tactics a litigator can have is to admit that his client isn’t perfect, and suddenly everybody believes everything else you are going to say. So I encourage lawyers to do that in their briefs and all of their correspondence. Remember, all that stuff can be discovered later, so you don’t want to go down one of those rabbit holes in some kind of asinine argument with some lawyer who is being difficult. And if they’re not that good at practicing law, they are going to try to drag you down in one of those holes. The other big problem that we always say with their writing and this is the one that the public just rails about, and rightly so, is that it is so difficult to understand what they’re saying and a lawyer often will sit back and respond to that complaint, well, if you’d gone to law school, you would understand why we have to work things in a certain way and that is really not an excuse. If a lawyer is really good she will be able to express herself clearly and concisely so that everybody can understand that there are few legal terms in there just like medical terms that I wouldn’t understand, inter alia, that kind of stuff which I wouldn’t going to brief anyhow. That’s understandable and that’s okay, but the rest of us got to be clear and concise, remember what’s going on, even people that worked for a law firm, we have marketing people, we have HR people, we have administrators, all these people need to be writing clearly and concisely to make everything more efficient. I sometimes use as an example, it’s two paragraphs that open a memorandum, and it’s the real thing, I pull these in and we edit these two paragraphs and we see how much better they could be, but one day I was teaching to a group and there was a partner and in fact there were several partners, but one of the partners raised his hand and he said, you know, this reads like a first-year associate who is unsure of herself, and I was agreeing that I hadn’t seen that earlier and expressed it that way because when put all this stuff into our writing, the vis-à-vis type phrases and a lot of overblown ways of expressing ourselves, all we are doing is showing that we are insecure that we really don’t believe in what we’re saying. When we go through and edit those two paragraphs and we are saying exactly what you want to say and make a clear, concise and we cut it about two-thirds of it, it just sounds confident, and we trust this person and it’s only getting rid of the extra words there. So that’s the main thing. It’s the ethics, and especially in litigation just trying to be objective, trying to help the judge, you have to look at it that way, and then getting all this garbage out of our writing that just isn’t necessary. Jim Calloway: Harkening back to the beginning your career, why don’t law firms have in-house editors? Gary Kinder: Yeah, I was surprised to learn that they didn’t, as I said earlier, Jim, but I think that there are probably three reasons for that. Every time I do this I will say there are three reasons and I will forget the third one, but I think there are three reasons, one is, everybody expects lawyers know how to write. My gosh, they have been to four years of college and three years of law school, why wouldn’t they know how to write, you have to be a decent writer, you are going to law school, certainly you are an even better writer coming out, and as Sharon knows, having researched this, a little bit as I have that just isn’t the case, they are not necessarily good writers just because they are lawyers, and sometimes the bright students will end up learning very quickly how to “write like a lawyer” which is the basis of the problem. So you have to un-teach them a lot of those things, but I think that they are expected to write well, so why would you need an editor? Number two, it’s really difficult to find people qualified to do this job because you would have to have someone who is an excellent grammarian, who is an excellent writer, and writing really well is a lot more than just understanding grammar, producing a sentence. And then the third one is — and someone who has a law degree also — I think that that also is important, you could have levels that would be of editing, that would be handled by people who are not lawyers, but you should definitely have as your main editor or editors people who are also lawyers, but once you have that person who is a grammarian and a lawyer, and a great writer, how much you are going to pay these people? To get somebody to have those kinds of skills, I would think command a fair amount of money, you’re dealing with cases that involve billions of dollars sometimes, they would be worth every nickel but then how do you cost this out, how do you get your clients to pay for an editor when they think that all lawyers already know how to write really well? So I think that those are the three main reasons that they don’t have editors, and yet, none of those is a valid excuse. Sharon D. Nelson: Well, I’ll move back to the article that you mentioned, because we wrote long time ago, John Simek and I did, “Why Can’t Law School Graduates Write?”, and that’s still a question that I researched it, I looked at it, I’ve seen some the most dreadful writing in my entire life, some of it looks like it was written by a sixth grader. So why can’t these graduates write, Gary? Gary Kinder: Well, there are several reasons for this one too. As you are aware, Sharon, you can go through law school and pass the Bar exam without ever writing a complete sentence. You are mainly tested on recognizing issues and then dealing with those issues appropriately. You can write in sentence fragments, I know a lot of people do that in the Bar exams and they do that in their courses, you do have to take a course called Legal Writing and in that one you probably have to write a sentence, but that is part of it and also every law school has legal writing programs. Some of them have two semesters, Legal Writing 1, Legal Writing 2, some have more advanced programs, you can take appellate writing; but often these instructors, and it’s very rare that they — and this is changing slightly, but it’s very rare that the people who teach legal writing are considered professors, which they should be. This is the one thing all lawyers are going to be doing later, not just pigeonholing into administrative law or something do with some aspect of business, which are the different courses that we take in law school. But further, when the legal writing instructors often are teaching, like if you take Legal Writing 1, Legal Writing 2, they are teaching you what a memorandum looks like. What is the tone of a legal memorandum and how do you introduce that legal memorandum, and rarely do the instructors actually teach writing and grammar, and looking for typos. I see a lot of lawyers don’t see typos, and when you write something for a client or a senior partner, or a judge and it has got typos in it, you are just broadcasting, I don’t care about what I’m writing about, and that reader thinks why should I care about it if she doesn’t care about it. So again, it’s hard to find people who really understand writing and understand the law, and have the time to sit down in one of those courses and actually tackle writing. I taught a summer program to a big firm in Atlanta, this has been many years ago, when I finished the program Michelle Obama came up to me and she said, I go to Harvard, I am one of the legal writing instructors there and she said we have nothing like this in our legal writing program. Would you come teach the teachers there, the legal writing instructors, some of the things which you taught here? The very next day with the same firm, I went to their DC Office and another young woman came up and she said, I am the President of the Moot Court Board and we have nothing like this at University of Virginia, and would you come teach us how to do some of these? We don’t get this in law school. And I don’t think that that’s gotten any better since then. It’s the writing aspect of it that it seems to be falling through the cracks. Here’s the format, here’s what it is supposed to look like, here’s the approach to take, here are the different parts of a brief, but not drilling down on writing and making a writing come alive. Jim Calloway: Well, I have to share with you that I did pretty well in law school because I was a Journalism undergraduate major, and English minor and it really helped on those final exams. I have told several people who want to go to law school to take writing classes. So you are preaching to the choir here, briefly, how did you come up with the idea for editing software for lawyers? Gary Kinder: I had been teaching, Jim, for a few years. I have slides and everybody, I even had slides before there was PowerPoint, but I would have examples. We want to get rid of unnecessary words and I would have examples that come out of real briefs or memoranda, and I would say, look, we can get rid of these words and see how much better the sentence is without these words, and I remember, one day the previous three examples I had, had up on the slides and the words that we got rid of had an “of”, the word “of’, o-f right in the middle of it, and I remarked about that and I started getting curious about that, I said, well, may be we just look for the word “of” and then I started seeing “ofs” everywhere, and the classic example for lawyers is, the terms of the contract state. Well, we don’t need both of those, we have the terms and the contract. We can say the terms state or the contract states, we don’t need the terms of the contract state. So I started just – I would just when I was editing people or lawyers I would look for the word “of”, and this is in all writing by the way, everything, all of this I am talking about really is in all writing, not just for lawyers. And then, maybe a year or two later, I noticed an inordinate number of junk phrases like “in fact”, “in this case”, “in the context of”, all began with a little preposition “in”, and I thought, gosh, there are two signs that I can look for, and over the years I developed about a dozen of these signs that would point out the main problems that people might be having with overriding words that they could get rid of. And then, a few years went by and one day I realized that I had not seen anymore of these signs. I had a finite set of about a dozen signs and I wondered could I get a patent on these signs? And if I could get a patent could we create algorithms using these signs as gateways into writing that would help people, help the software, help the people find these unnecessary words because if you can get rid of the unnecessary words in the words that are necessary now can convey meaning. Sharon D. Nelson: Yes, we are. Gary Kinder: This phrase that you heard in all the sit-ins and the marches and the protests, if you are not a part of the solution, you are part of the problem. There is no middle ground. It’s the same way with these words. Your word is conveying meaning for you or it’s getting in the way of the words that are trying to convey the meaning, and if you can remove those words that are unnecessary, now when a reader reads just as fast as he is capable of reading through what you’ve written, because all the words there have to be in there, you captured that reader and now that reader understands — more likely understands what you are talking about. So now that’s how I came up with the idea for the software and I filed a patent on this back in 2002 and it was granted — I don’t know how this happens, it was granted on Christmas Day of 2007. Sharon D. Nelson: That was Santa Claus. Gary Kinder: Yeah, it was Santa Clause and absolutely it was Santa Clause and those guys were working overtime, but we’ve got six patents and since then now we now have seven total patents on this idea being able to detect patterns with algorithms it will help lawyers and others spot unnecessary words. Jim Calloway: Before we move on to our next segment, let’s take another quick commercial break. Jim Calloway: Looking for a process server you can trust? HYPERLINK “http://www.Serve-Now.com” Serve-Now.com is a nationwide network of local, prescreened process servers. ServeNow works with the most professional process servers in the country. Connect your firm with process servers to embrace technology, have experience with high volume serves and understand the litigation, process, and the rules of properly effectuating service. Find a prescreened process server today. Visit HYPERLINK “http://www.Serve-Now.com” Serve-Now.com. Sharon D. Nelson: Welcome back to ‘The Digital Edge’ on the Legal Talk Network. Today, our subject is “The Importance of Legal Writing” an interview with WordRake creator Gary Kinder. Jim Calloway: Gary, here is your shot, let us know how your product WordRake improves lawyers’ writing, and please tell us the cost of the software, where listeners can find it, and how they can even get a free trial for a week? Gary Kinder: Of course, I would be happy to do that. Thank you for the entrée, Jim. WordRake — I was just alluding to some of the things we do, but WordRake is first of all, I insisted that I know it’s a software, I know it’s a program but I wanted it to look as much like a lawyer been edited by a live editor with a red pen as we can make it, and that’s what we have. It will cross-out words, edit things you don’t need or dull words, it will help you get rid of something that we call nominalizations, most lawyers have never even heard that word, but that’s part of what makes our writing so dull sometimes is writing with nouns that could be verbs or WordRake will recognize a lot of those and brighten your writing, get rid of the clutter around them. And this is a little side point, this really helps client relationships if they know that you have productivity software like WordRake. I’m sure a lot of your listeners have heard of Casey Flaherty who invented the — what’s called the Legal Tech Audit and he advises his clients, he was in-house at one of the big car manufacturers. I think it was KIA Motors and he tells his clients today if they cannot prove to you, if your outside counsel cannot prove to you that they are being efficient with your money, then don’t pay the bill. And one of the productivity software programs he specifically suggests they get is WordRake. It just makes things go faster, it operates in the quiet of your office and you can imagine being a first-year associate, even though you are an editor or a president, I guess, they call it a Harvard Law Review, this is all new to you, you are actually practicing law now, and no matter what kind of facade you put on, you are still nervous, but you have WordRake, and you write something, and in seconds it will ripple through pages and pages and pages or whatever you’ve written, jut push one button and it ripples through and suggest these edits, and before you ever show it to anybody, it’s like, what happens in WordRake, stays in WordRake, no one else is going to see this. And so you have that, it just builds your confidence to know that you’ve got a second set of professional eyes to take a look at it, and WordRake never gets tired and doesn’t eat that much, it just sits there, waits for you to turn it on when you need it. So it’s there 24/7 and it — WordRake costs — it’s $129 for a year’s subscription, that’s for WordRake for Word. We also have WordRake for Outlook, for your e-mails and that’s also $129 for a year, and that comes out to $0.35 a day, and if you get the enterprise version it drops to sometimes half that for some of the larger law firms. If you get a bundle of the two together, it’s $199, and you can go — we have a special landing page just for Digital Edge listeners. You can go to wordrake.com/thedigitaledge and sign-up for a free seven-day trial. So whether you’ve got a big memory item, something going on with a client, you’ve got a brief to write, try that seven-day free trial. You don’t have to even give us a credit card, and if you decide to purchase WordRake, you can use a coupon code, and that code is The Digital Edge, the program you’re listening to, and you get a special 10% discount for all of your listeners, Jim and Sharon. And of course, HYPERLINK “http://www.wordrake.com” wordrake.com, right now we are rebuilding our website, but there is still is something there for you to look at. I think that is probably everything that I want to discuss about WordRake. I look at one last point; I look at WordRake as being a collaboration; no software program will ever replace a truly talented editor. However, no editor can keep in his or her head all of the things that we can program into WordRake. I won’t even go into the algorithms that lead us to be able to make a huge number of edits, but this idea of collaboration often — WordRake is going to make an edit, you are going to hit the “Accept” button, you are totally in control. You will see the next edit, Accept, Accept, Accept, Accept, and then you like the word “Indeed” WordRake thinks you should get rid of “Indeed” most of the time. So they are going to — some people are going to reject that edit and keep “Indeed”, but WordRake is going to be accurate 90-95% of the time, and often this is something that we found that people report back to us. They will say, WordRake suggested this little change over here in this sentence, and when I looked at it I thought that’s not quite right, that’s going to change the meaning to my sentence, but, I see what WordRake is trying to do and I can do it even better, and that’s where this collaboration comes in. It sees things that, that lawyer would never have gone to that sentence to try to make it better if WordRake hadn’t pointed out there is something going on over here, we need to take a little closer look at. Sharon D. Nelson: You are exactly right and as I think, you know, Gary, I have been an English major, a journalist and a co-author of 15 books for the ABA, I have a pretty good reputation for being able to write. And I have used WordRake and I am always amazed at the number of things it spots to tighten up my language and make it better, and I am a real fan of what it can do. So, we really want to thank you for being our guest today. I think people understand a lot more about the product. I would definitely recommend that what you do is take that seven-day trial, because nothing is going to persuade you as much as that, and you apply it to something you did before that you’ve already submitted somewhere, whether it’s an article or a brief and you put WordRake on it, and you are going to go holy moly, I wish I had said that differently and you’re going to see the value of the product. So, I like it a lot, and yeah, I have no problem recommending it, and I know entire cities have licensed WordRake. So a lot of people believe in it. So, I thank you, Gary, for sharing, because although there is a product in this program, obviously, most of it was about the writing and the value of writing, the kind of mistakes lawyers make typically in their writing. So we had a good bit of substantive content, which I think leads people to think about, how can I write better because writing better makes me a better lawyer, and makes me more persuasive? So again, thanks very much for joining us. Gary Kinder: Sharon, thank you. Thank you also, Jim. It’s great talking with you. Sharon D. Nelson: That does it for this edition of The Digital Edge: Lawyers and Technology. And remember, you can subscribe to all the editions of this podcast at HYPERLINK “http://www.legaltalknetwork.com” legaltalknetwork.com or on iTunes. And if you enjoyed our podcast, please rate us on iTunes. Outro: Thanks for listening to ‘The Digital Edge’, produced by the broadcast professionals at Legal Talk Network. Join Sharon Nelson and Jim Calloway for their next podcast covering the latest topic related to lawyers and technology. Subscribe to the RSS feed on HYPERLINK “http://www.legaltalknetwork.com” legaltalknetwork.com or in iTunes.